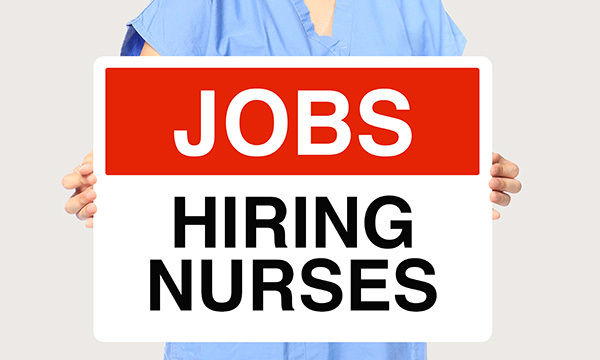 One in five nursing vacancies in England’s NHS are not covered by any nurse – despite heavy reliance on bank and agency staff. Latest workforce data from NHS Improvement recorded 40,877 nursing vacancies in England between July and September this year. Four out of five of these were filled by a combination of agency or bank staff, meaning 20% were not covered at all. This compares to 35,794 nursing vacancies in the final quarter of 2017/18, of which 95% were covered by a combination of bank and agency staff. In its latest report, NHS Improvement noted ‘every unfilled shift poses an operational challenge on the front line’ and encouraged providers to focus on reducing temporary staffing through retention and sharing best practice. London is the worst-performing of the English regions, with a 14.6% nursing vacancy rate, equating to 9,649 vacancies. Overall, the acute sector has the highest level of nursing vacancies in England at 30,010, followed by mental health, where there are 8,784. RCN acting chief executive Dame Donna Kinnair described the figures as ‘damning’. ‘Despite everything we know about the consequences for patients and the abundance of research on safe care, the number of unfilled nurse jobs is rising year on year, not falling,’ Professor Kinnair said. The NHS long-term plan is due to be published later this month.